There are many myths surrounding Tile Cleaning Services. While from an external level, professional tile cleaning may appear to be purely about enhancing the outward appearance of your floors, but there is so much more under the surface. There is no domestic cleaning product on the planet that can completely sanitise and cleanse tiles surfaces. While a regular cleaning routine may appear to reduce the appearance of grease, stains and discolouration, the hard fact is that once these symptoms rear their ugly head, they signify a deeper problem that requires a more specialized approach. Tiles are a stylish stable for most homes. Whether they be on your floors, walls, shower or splashback, they remain a fashionable must-have for all homes, old and new. Not only does a professional tile clean work to pro-long the look and feel of your surfaces, but it’s imperative to decrease the chance of health hazards such as slippery floors and mould build-up. Here at ‘Melbourne Carpet and Tile Cleaning’ we specialise in restoring tiled areas to their original glory whilst giving you the tools to maintain them. Here’s how a professional tile and grout clean could transform your home or business. 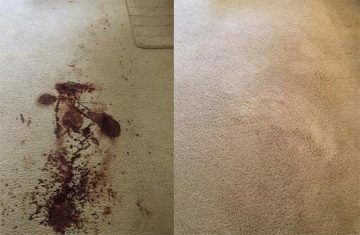 It’s no secret that professional cleaning will dramatically improve the wear of your surfaces. If your tiles have already started to discolour or cracks are starting to appear: it’s time to act. Our team of experts do a pre-clean inspection to identify areas of concern and will formulate a plan accordingly. 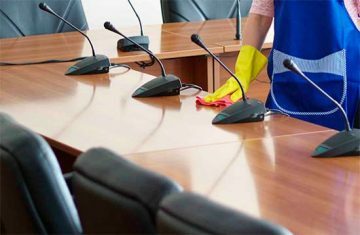 Professional cleaning will also prolong the amount of time your surfaces stay clean for, and will dramatically reduce the time needed for maintenance cleans. Maintaining clean surfaces is so much bigger that just appearance, in fact a build up of bacteria and debris may be contributing to some underlying health issues. It has been proven that as well as attracting dirt, grout retains bacteria and germs, especially in moist areas such as bathrooms and kitchens. The build-up of bacteria in these areas is an ideal place for mould to form and grow. Mould in the home or office can severely impair our immune systems and dramatically increases the bodies susceptibility to allergies. Additionally, mould is a major contributor to certain repository conditions that can often go unnoticed. The only way to prevent the development of tile mould is through a sanitising process that combines high heat with high pressure cleaning. ‘Melbourne Carpet and Tile Cleaning’ are at the forefront of the industry with the ‘Truckmount’ system that combines the latest technology to sanitise and restore your tiles. Many people spend thousands of dollars in the hopes of achieving a fresh, new look for their homes and office spaces. 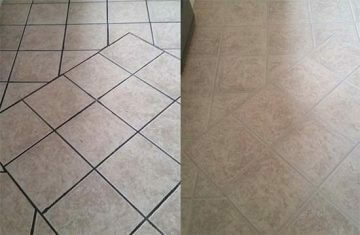 What many people are unaware of is the results a simple professional clean can have on a tiled space. Industrial tile and grout machinery has the capability to give any tiled surface a fresh look that will completely change the look of the space overall. To dramatically improve the appearance, feel and functionality of your tiled spaces contact ‘Melbourne Carpet and Tile Cleaning’. Our experts use the latest technology to effectively eliminate germs and restore your tiled spaces to their former glory. Contact us to learn more.